Yes! Mobile and Pennymobil – The mobile phone offers available at Rewe and Penny yes! Mobile and Pennymobil are waiting for the new prices from 18 July 2017 with two new tariffs. The SmartPlus and Allnet Flat offers include integration units for mobile communications and data volumes of up to 3 GB. The two discounter yes! Mobile and PennyMobil offer prospective customers from 18 July 2017 the two new tariffs SmartPlus and Allnet Flat, which are valid for four weeks and can be added to the basic tariff. SmartPlus costs 12.99 euros and includes 600 free units for conversation minutes and SMS in all German networks as well as a mobile data sheet with 2 GB volume. The maximum surfing speed is 21.6 Mbps. Each additional minute and SMS will add 9 cents each. The starter package costs only 9.99 euros, 13 euros starting credits are already included. The new Allnet Flat is available for 19.99 Euro and includes a language pad in all German networks as well as a mobile data sheet with 3 GB volume. Again, the maximum surfing speed is 21.6 Mbps, an SMS costs 9 cents. The starter pack is also available for 9.99 euros, but is waiting with 20 euros starting credits. Yes! Mobile and PennyMobil are implemented by congstar and access the UMTS and HSDPA network of Telekom. Under www.pennymobil.de and www.jamobil.de, the two new tariffs are available from 18 July 2017 onwards. 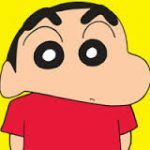 Our attitude is to provide information for science and technology to prepare reports, and can not like "Nowara Shnnosuke" joking life! Cblog is a technical blog about products and subculture which includes smartphones, electronical gadgets, and everything else that comes under the genre. Copyright © SHENZHEN HUAFURUI TECHNOLOGY (HK) CO.,LIMITED All rights reserved.